One in five Britons do not know that Big Ben is in London, according to new research, while more than half are unable to place the location of the Colosseum in Rome. A third even admit to not knowing the Taj Mahal is in India, plus one in 10 believe the Sydney Opera House is in Italy. The findings from travel site Hotels.com put the onus on Brits to pack their bags and explore the world beyond their doorstep. As many as two fifths are also unable to pinpoint the location of the Christ the Redeemer statue in Rio de Janeiro, Brazil, even though it is the destination for the upcoming football world cup this summer. Mount Vesuvius in Italy is the most unrecognised landmark among Brits, with 58% unable to point it out on a world map. 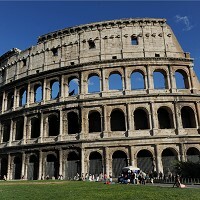 The Colosseum is also up there with 54% unsure of where to find it, followed by Mount Everest in the Himalayas with 45%, Mount Kilimanjaro in Tanzania with 44% and Giza Pyramid in Egypt with 39%. In light of the findings, Kate Hopcraft of Hotels.com believes Brits should take the time to visit more of the world's most iconic landmarks. She claims visiting such landmarks is often the highlight and focal point of a holiday that will live long in the memory. But no matter where you decide to go, whether it's at home or abroad, don't forget to take out worldwide travel insurance before you leave, just in case the worst happens while you're away. The Eiffel Tower in Paris is the most recognised landmark among Brits, with 90% able to correctly place it on a map, followed by the Statue of Liberty in New York, with 80% able to successfully locate it. Next is Big Ben, with 79%, despite the fact that 10% think it is Australia, while Sydney Opera House and the Great Wall of China are also in the top five most recognised landmarks with 72% and 71% respectively.